Having given all the above excuses, I’ve decided this post is coming together via my journal & associated pics. Sorry for any brevity of comment. 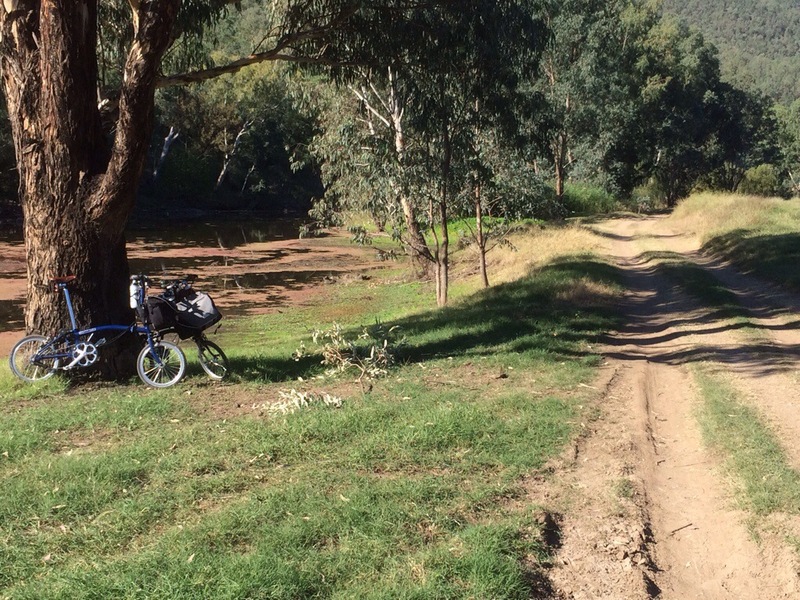 Departed Mudgee on Easter Monday & headed for Murrurundi. 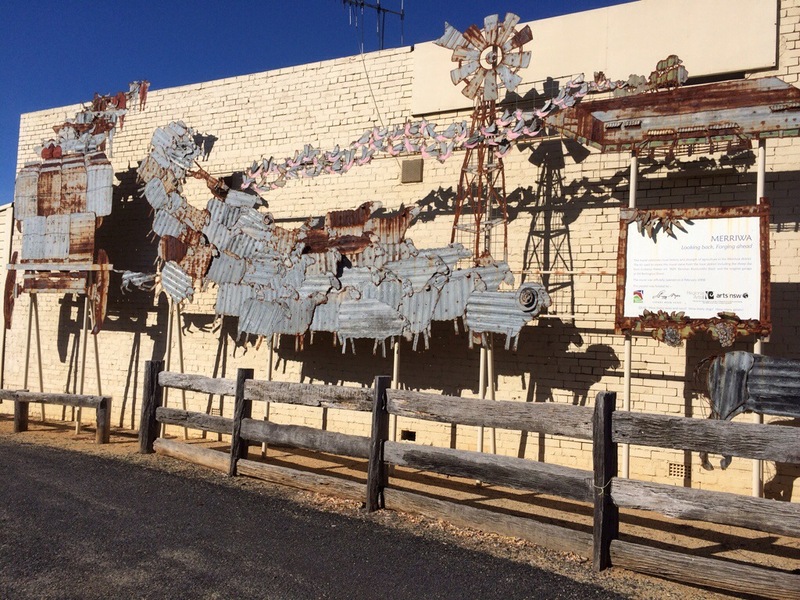 Lunch stop in Merriwa & liked this country scene (oxen with wool bales on wagon, sheep & dogs, galahs, etc) done in corrugated iron & assorted scrap metal. Couple of days based at Murrurundi CP for some local genealogy research & then heading further north with visit to Rail Journeys Museum at Werris Creek station. Lots of good info about early rail life (& death) & the efforts in building the early railways. Overnight stop at Tamworth & then driving on to Manila. Visited Manila Heritage Museum for genealogy research & then continuing to Bingara for 2 days stay at caravan park. Noticed these couple of classics in the park. Entertaining & eventful time in Bingara. Watched the Anzac Day March while out on a ride, punctured rear tyre on Ralph (forgot to take pics during country roadside repair – after surviving the Mudgee Cathead thorns, seemed to have a big thorn in the tyre but the tube hole was somewhere else? ), lots of rides & walks around town on really, really wide roads! ?, good historic collections of early settler artifacts & some “new history” at the Greek Theatre Museum (info on how Greek migrants settled & developed businesses in country towns). 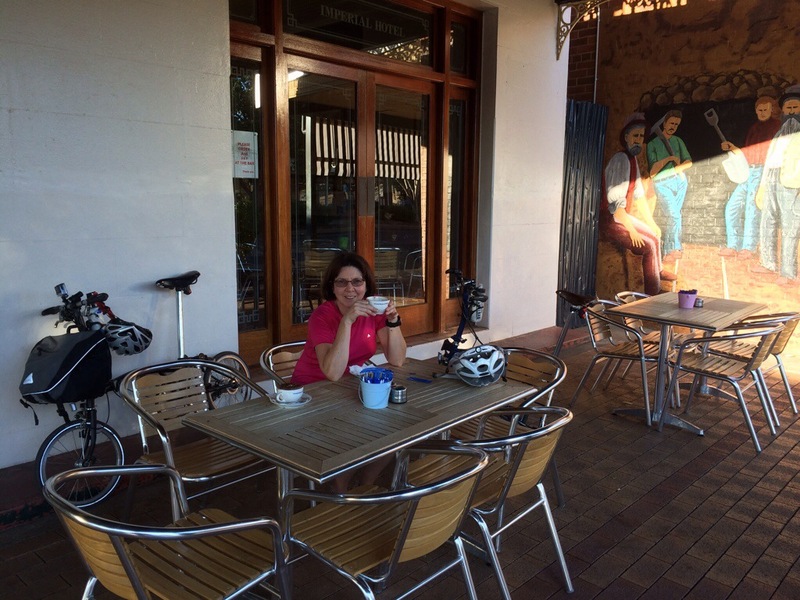 Our rides around town included this riverfront track & coffee under the verandah of an old pub. 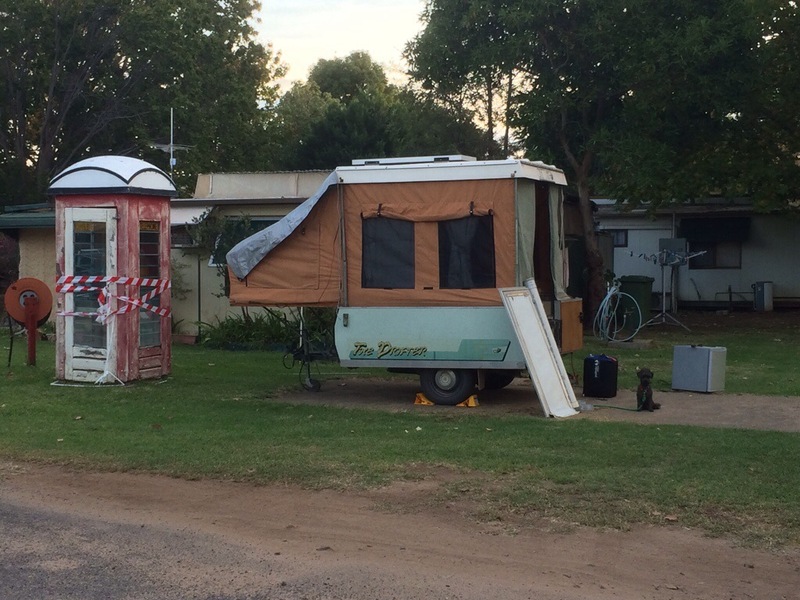 Leaving Bingara, we followed the Gwydir River for some time & were surprised at the numbers of caravans & motorhomes free-camping along the riverfront. 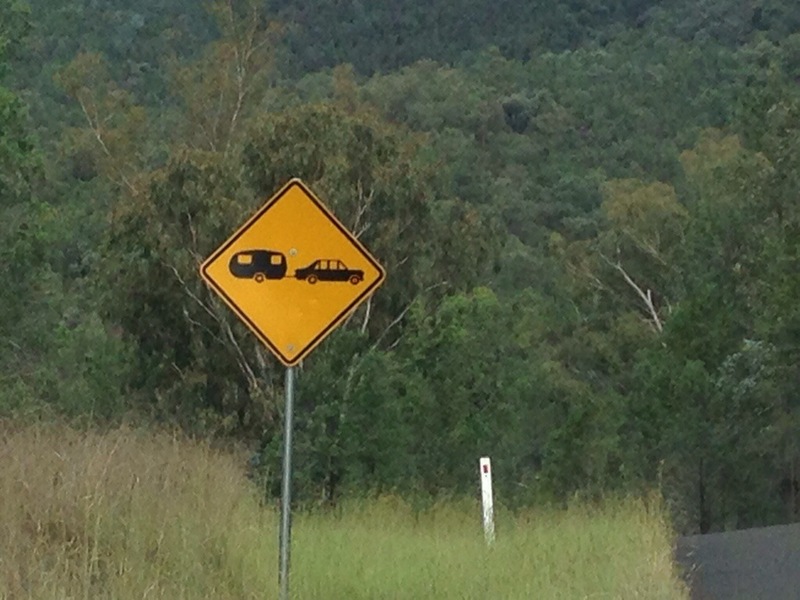 Such traffic that there were appropriate road warning signs? 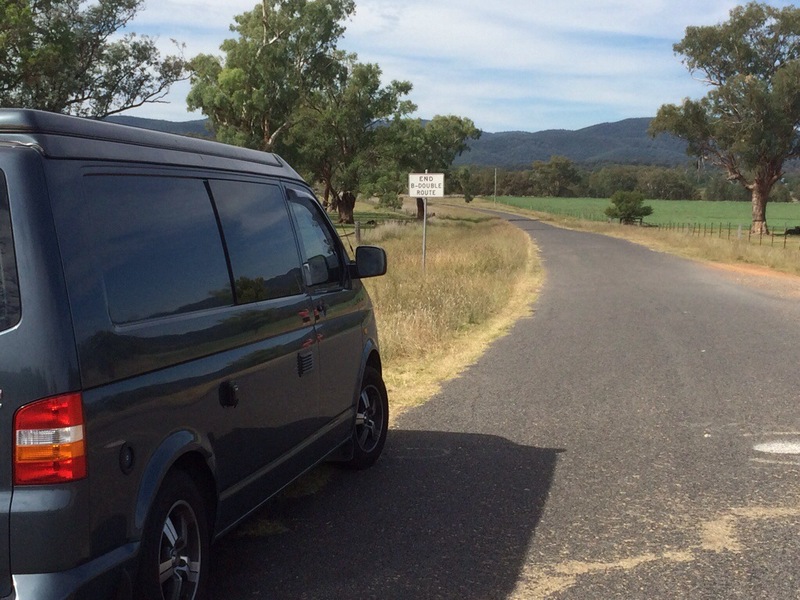 Eventually this back-road meander saw us at Inverell & we continued on to Glen Innes for the night. Travelled on the next day (& escaped some rain that seemed to hover over only Glen Innes?) 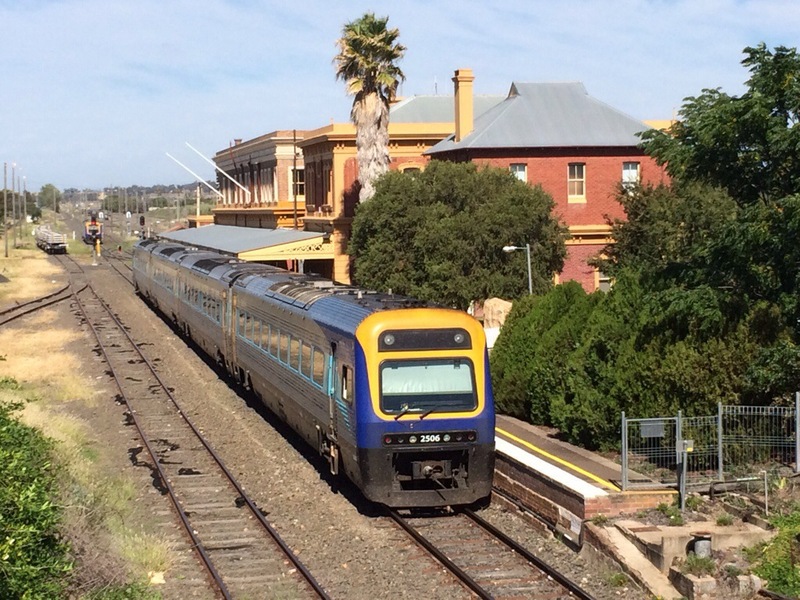 to Armidale, which like Inverell had seemed uninspiring over a long weekend (too much traffic & too few places open?). Our lunch stop at Uralla was such a contrast: much smaller town but so lively & lots of choice? 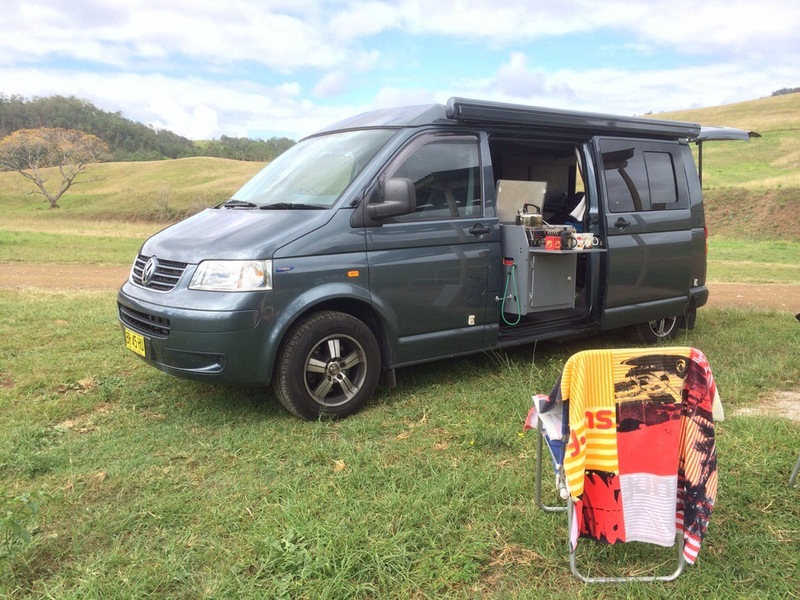 Our next overnight stop on this straight(ish) journey back to Sydney was Walcha. 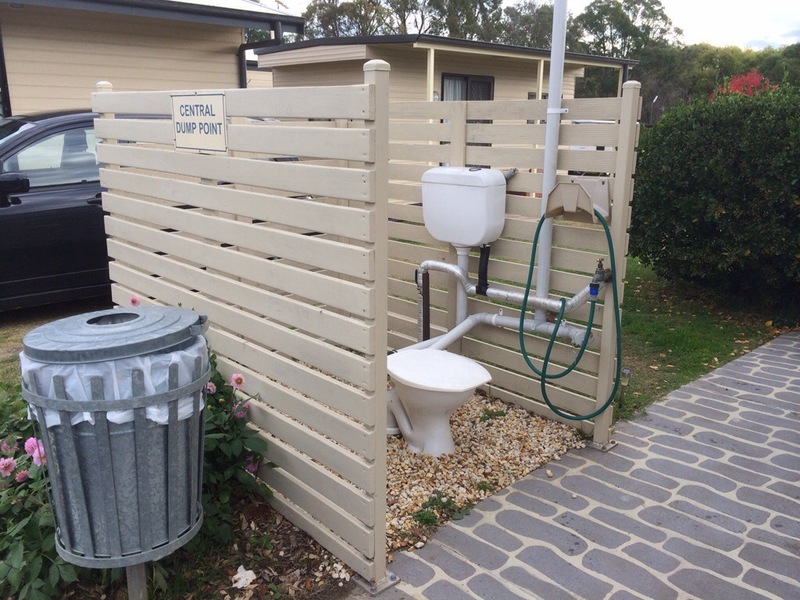 Here we encountered a really nicely setup & maintained caravan park. 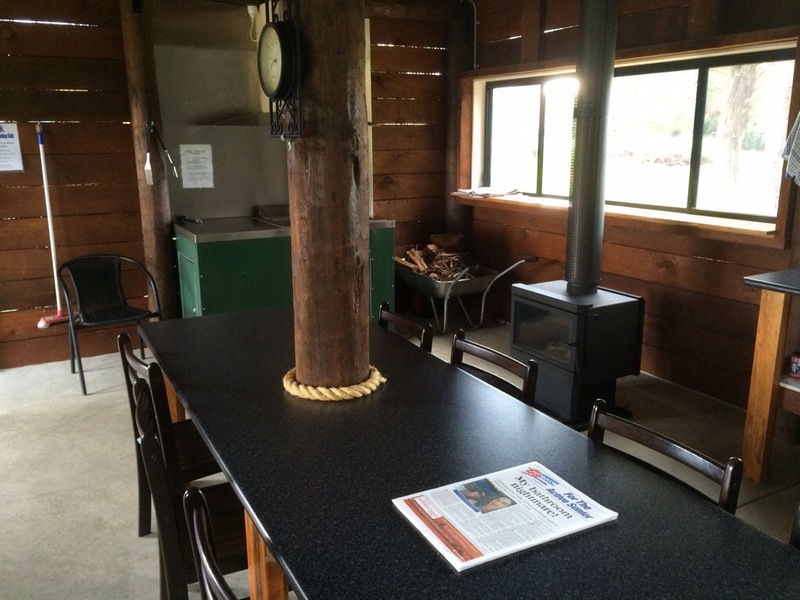 For example, the camp kitchen was spotless & so well-equipped that we almost felt guilty in using it? 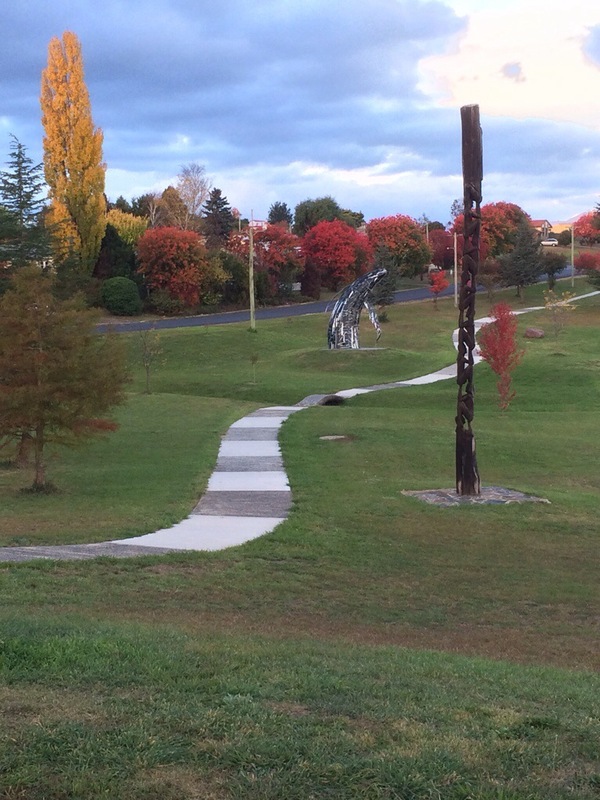 Not only the caravan park but the whole town showed some remarkable efforts in landscaping & sculptures (& only one pic doesn’t do it justice). 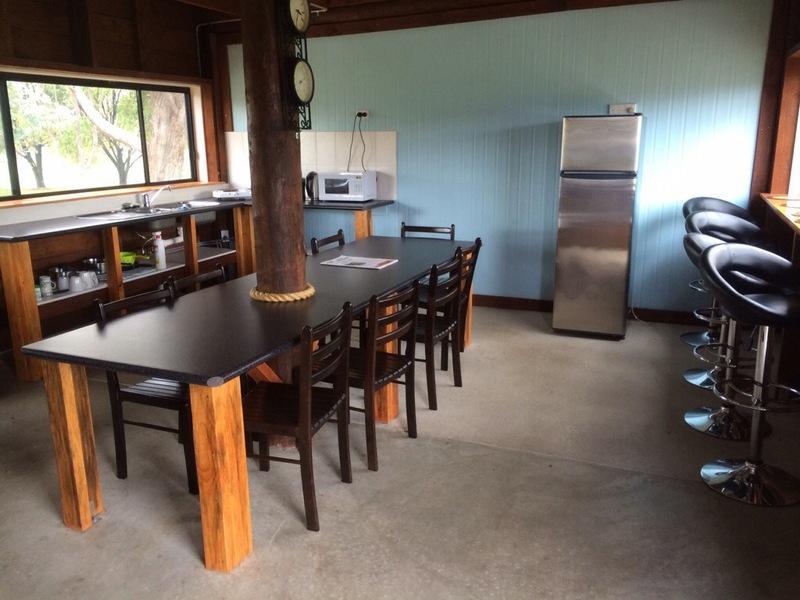 A lot of walking was needed to take it all in – but the Walcha Royal provided suitable refreshments within its almost museum-like motorcycle-themed rooms? Last leg of the trip was driving on to Gloucester, our final ride around the quiet country roads, overnight stay at the caravan park & then back into Sydney. Almost 2 weeks away & a whole host of places & sights – with lovely cuppa stops such as this along the way!